What was it about the Shoreditch tech business that persuaded News Corp to part with £58 million? What ended with the shock announcement that News Corp had agreed to buy the online video company Unruly in a £114 million deal began innocently enough. 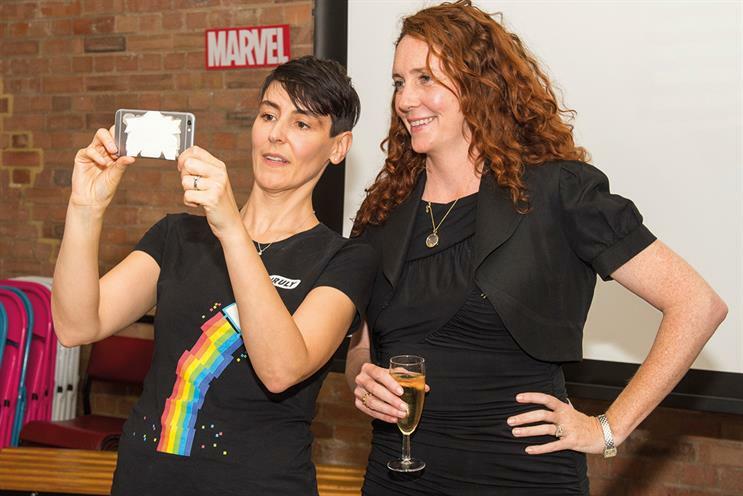 Sarah Wood, the co-chief executive of Unruly, had been due to sit on a panel with Rachel Schutt, the chief data officer at News Corp, at Web Summit in Dublin in November 2014. The chair of the session was concerned that she was going to be late and so the two women sat down to plan how they might interview each other. As it was, the chair made it to the session, after all, but the conversation that started that day continued after Schutt had returned to New York and Wood was back in Shoreditch. Schutt introduced Wood to colleagues including Rahul Chopra, the chief executive of the social news agency Storyful, which News Corp bought in 2013. Initially, the companies discussed how they could work together but, as time went on, Rebekah Brooks, who was looking for acquisitions for News Corp, visited Unruly and things got serious. Wood, who founded Unruly with her co-chief executive, Scott Button, and the chief technology officer, Matt Cooke, nine years ago, enthuses about the former Sun editor and the prospect of working with her more closely. "We hit it off immediately," Wood says. "Her passion, her de­termination. We like that at Unruly; we’ve always been very determined. Rebekah Brooks is such a great team-builder – I’m really looking forward to working with her." Brooks declined to speak to Campaign about the deal but the News Corp chief tech­nology officer, Paul Cheesbrough, agrees that executives at the two companies clicked: "We grew to like each other a lot." News Corp had identified mobile and video as opportunities for commercial growth and Unruly offered both. Cheesbrough says the partnership will provide "a better experience for our readers and more impact for our advertising clients". News Corp has paid an initial £58 million for Unruly and a further £56 million is dependent on the company’s performance over the next three years. Happily for Wood and her co-founders, they still owned half of the business, with the rest divided between Unruly staff and venture capitalists. All parties insist Wood, Button and Cooke will continue to run Unruly as a separate entity from its own offices but will work closely with News Corp’s other divisions. When the deal was made public, Rupert Murdoch, the News Corp executive chairman, immediately Tweeted to welcome Unruly to the family and commend Brooks on a "good deal". News Corp had just reappointed Brooks as the chief executive of News UK, but the Unruly acquisition is firmly a News Corp deal. Wood says that she has had a "tsunami of interest" from her new colleagues in the form of e-mails from around the world. News Corp executives are now working on integrating Unruly’s services into its online properties. These include a range of in-feed, in-page and in-stream ad products. The New York Post wasted no time and was running Unruly-powered ads within days. Dominic Carter, the managing director of commercial at News UK, says that the UK newspapers will sell the products directly as well as through the network and thinks the deal will "accelerate their growth in digital". Unruly’s ShareRank platform should also come in useful. It predicts the likelihood of an online video going viral and suggests ways to improve them. News Corp hopes to use ShareRank to enhance the video ads running on its websites, but it is not just about advertising. In the UK, The Sun’s editorial video team will be able to learn from ShareRank, now that the paper is experimenting with offering some content for free. Media agencies have been receptive to the partnership. Phil Hall, the managing partner and joint head of investment at MediaCom UK, describes the deal as a "really clever" move. "It gives News Corp’s legacy business, which has sometimes struggled with digital, content, distribution and understanding of the digital world," he says. "Unruly would be a good buy in itself but, if News Corp integrates it into its product, the result will be greater than the sum of its parts."